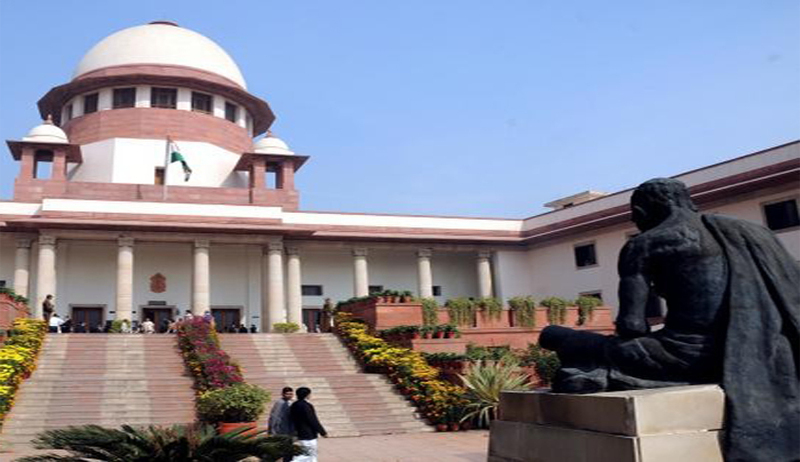 The Bench considered it necessary for the sake of justice to address the issue of mental cruelty, considering it the bounden duty of this Court to do so and not to leave the parties to fight the battle afresh after expiry of thirteen years of litigation. It hence, invoked the plentitude of power conferred under Article 142. The Court accepted the respondent’s contention that subsequent events can be taken note of for the purpose of mental cruelty by the Court and the decree of divorce granted by the High Court should not be disturbed. The question in the present petition was whether the High Court was justified in making a case of mental cruelty for the respondent- husband, even though the trial court had considered the case as found solely on the ground of desertion. The Court answered the question in affirmative and upheld the order of the High Court. The proceedings were initiated by the husband for dissolution of marriage. The Family Court Judge declined to grant divorce as desertion was not proved but the High Court, considering certain facts and taking note of subsequent events for which the appellant was found responsible, granted divorce. The High Court had perceived the acts of the appellant as a reflection of attitude of revenge in marriage or for vengeance after the reunion pursuant to the decree for restitution of marriage. It was urged by the appellant-wife that the High Court has taken note of subsequent events into consideration without affording her an opportunity to refute the allegations and that alone makes the decision vulnerable in law. The Court agreed with the trial court’s opinion that the fact of continued desertion hasn’t been established. The High Court appreciated the subsequent events that reflected the conduct of the wife and opined that the attitude of the wife confirmed that she never had the intention of leading a normal married life with the husband and, in fact, she wanted to stay separately with the husband and dictate terms which had hurt his feelings. It was pleaded that there had been a marital discord and total non-compatibility, and the wife had deserted him severing all ties. It was also alleged that she had left the tender child in the custody of her parents and continued her studies. The husband’s letters weren’t replied and he was also ill-treated by her parents. It was further averred that the wife had deserted him for more than five years and she had been harassing him constantly and consistently. The wife alleged that the husband’s influenced the husband that he should not allow his wife to pursue her studies and be kept at home as an unpaid servant of the house. Rejecting the contention, the bench said that this is quite a disturbing allegation when viewed from the spectrum of gender sensitivity and any sensitive person would be hurt when his behavior has remotely not reflected that attitude. The wife even lodged an FIR alleging demand of dowry against the husband, mother and sister as a consequence of which the husband remained in custody for a day until he was enlarged on bail. Upholding the High Court’s findings, the court observed that “the husband has reasons to feel that he has been humiliated, for allegations have been made against him which are not correct; his relatives have been dragged into the matrimonial controversy, the assertions in the written statement depict him as if he had tacitly conceded to have harbored notions of gender insensitivity or some kind of male chauvinism,” adding that the sanguine concept of marriage presumably has become illusory and it would not be inapposite to say that the wife has shown anaemic emotional disposition to the husband. Considering the social status and strata and the concept of effective availing of education, the Court fixed a sum of Rs.25, 00,000/- excluding the amount already paid towards the maintenance and education of the son.